Are you a caregiver or nurse who specializes in elder care? 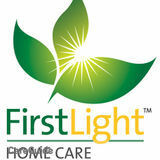 Looking for a senior care job in Salem, Massachusetts or private Salem home care job? You’ve come to the right place. ElderCare.com offers caregivers like you, offering home care, nursing, and other senior support services a way to connect directly with families and individuals looking for senior care. With so many senior care jobs in one place, choosing the right elderly caregiver job in Salem doesn’t get any easier.